"A stalwart, a poet, a writer, an enlightened mind and a compassionate being leaves this world and we mourn his passing. He was an admirer of my father and his works and there were many occasions when I would be present at their meetings," read an excerpt from Amitabh Bachchan's blog, which he posted on Thursday night after former Prime Minister Atal Bihari Vajpayee's death. Atal Bihari Vajpayee died in Delhi after a long illness. He was 93. 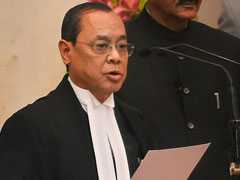 His death is mourned by President Ram Nath Kovind, Prime Minister Narendra Modi and several other prominent leaders. Celebs like Rajinikanth, Shah Rukh Khan, Priyanka Chopra and others also condoled his death. On his blog, Amitabh Bachchan described his father Harivansh Rai Bachchan's cordial relationship with Atal Bihari Vajpayee. Harivansh Rai Bachchan was a legendary poet. Big B also mentioned how Harivansh Rai Bachchan was impressed by Atal Bihari Vajpayee's oratory skills. "My father knew him from his early years, perhaps when Atalji was a student. There was occasion when my father had heard the young Atalji speak and was very impressed by his oratory. On a later day and date, there was a debate at an institution which was being presided over by my father. Atalji was one of the speakers for the debate, but had not showed up within the specified time. He did eventually and pleaded with my father that his delay was due to the fact that there was a delay in the train he was travelling in. The organisers were not permitting him to participate, but my father put all aside and called him up to speak. Atalji was spectacular as always and gained much praise," wrote the 75-year-old megastar. Atal Bihari Vajpayee had also visited Harivansh Rai Bachchan in hospital when he was admitted to the All India Institutes of Medical Sciences (AIIMS) in Delhi. The former PM also launched a stamp in the name of Harivansh Rai Bachchan in Lucknow. Amitabh Bachchan mentioned how he and Mr Vajpayee used to exchange phone calls on each other's birthdays and his visit to Breach Candy Hospital in Mumbai, when the former PM underwent a knee surgery. "It was during the monsoons and as he lay on his bed he was facing the window of his room and the rain was pouring down and he said, 'Musladhar baarish ho rahi hai'." "His oratory powers were unmatched and the usage of words exemplary. They were filled with the power of pronunciation. The rendition of the word was enough to give it meaning. One did not need to understand the language, that was his brilliance. Some of his public speeches and ones done in the Houses of Parliament are testimony. A poet, a writer, a politician, a Prime Minister and an extremely rare human," Amitabh Bachchan concluded. Read Amitabh Bachchan's blog here. 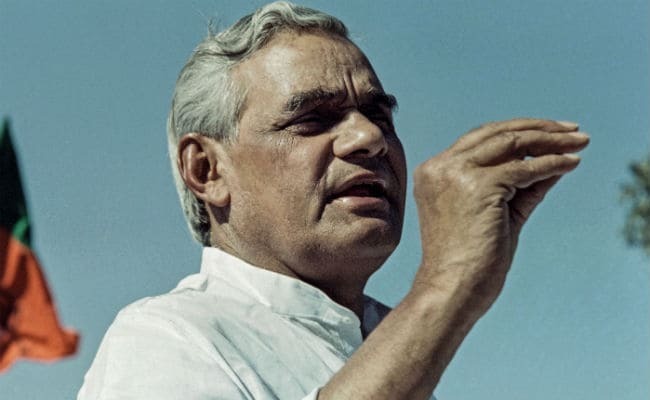 Atal Bihari Vajpayee's funeral will take place on Friday afternoon in the national capital.